The best part of doing PMM was being aboard so many great boats owned by great people. To help others make their dreams come true, to follow their travels and share in their experience, while enjoying the diverse design and capabilities of well thought out passagemakers never lost its thrill. And years later, when the memories flow back by a casual reference of running into folks or a flip through back issues, gives me pause to wonder where the people and boats are now. 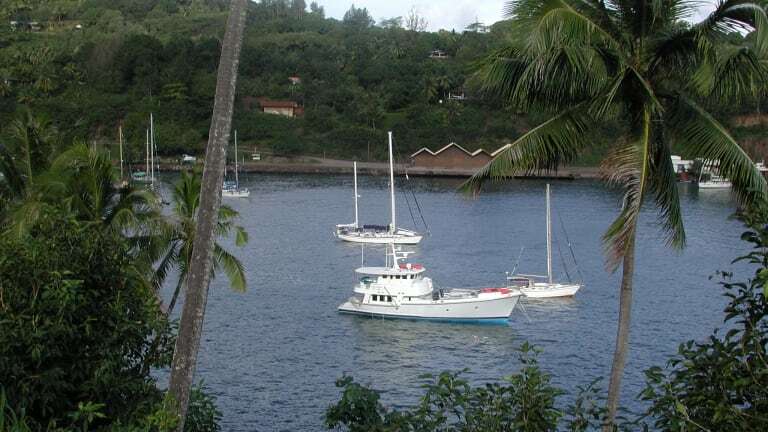 And so not long ago, I was reflecting on a trip done back in 2001, when I joined the crew of John and Gail Maloney as they cruised from Dana Point, California to Hiva Oa in French Polynesia... The French Marquesas Islands are about as far as one can travel from any continent to a remote island group across open ocean. It is a very long distance indeed. 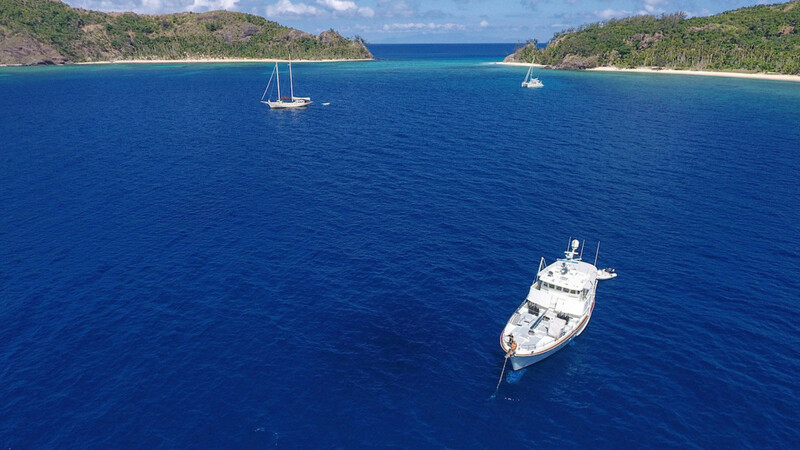 Our successful passage from Dana Point was a special accomplishment for the crew of Rover, now going ashore to see what this French Polynesia thing is all about. As I looked back at the photos I took on that trip with the Maloneys and our fourth crew member, New Zealander Martin Bonham, I wonder what happened to the boat, and where she might be today. One thing I do know is that in the modern era of fiberglass construction, boats do not go away easily, nor do they lose value after the original owners decide to move on. Far from it, these boats take on multiple careers and/or journeys, and can take folks onward with continued excitement long after the first commissioning and sea trials are over. For some boats, the best is yet to come. When I stepped aboard for the trip across the South Pacific, Rover was a brand-new Nordhavn 62, hull 18 in the series, only recently delivered to PAE’s facilities in Dana Point after an unfortunate delay. Which was too bad as the Maloneys originally intended to cross the Atlantic Ocean to England with their new boat. They had already extensively cruised around North America aboard their first Rover, a Nordhavn 46. 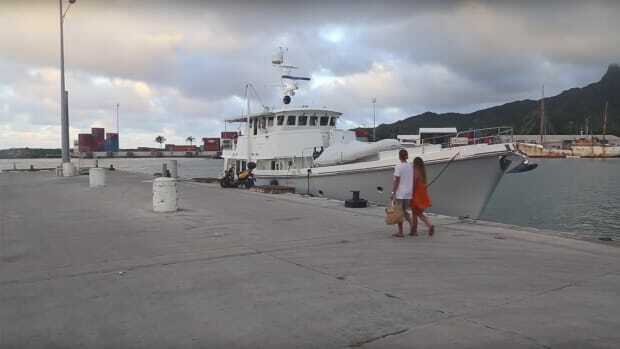 But with the delays of this new larger boat, they decided to take advantage of existing favorable weather patterns, and instead join three other Nordhavns headed across the Pacific. John and Gale explored this further, then made the necessary arrangements to head west instead of east, and I was lucky to be in the right place and time to help crew on the voyage. The crew of Rover greets the arrival of N57, Bagan, just a few days behind us. Soon the Nordhavn fleet is back together and the adventure continues! The band of four owner-operated Nordhavns included three N62s and one N57: Karma (N62-15) would leave from Puerto Vallarta, Atlas (N62-10) would leave from the Galapagos Islands, and Bagan (N57-10) would set off from Acapulco. As the newest boat in this small fleet, Rover (N62-18), would continue its outfitting and commissioning processes right up until the moment of departure from Dana Point. It is a great story of real passagemaking and I recommend you pick up the October 2001 issue to read the full account, or at least what I could fit onto magazine pages without taking over the entire issue. It was a wonderful experience, full of fun, sea life, and adventure, and even though we had our share of issues as happens on any new boat, we adapted, improvised, and overcame...with outstanding help from PAE. However, once the clip was replaced and reattached properly, everything was ready to go, back to normal. Other items needing attention included replacing seals in the hydraulic steering rams, adding a better fridge latch to secure it properly, troubleshooting a failed head pump...just a few of the things one deals with on a new boat. Unfortunately, the most regrettable issue was that significant amounts of sea water made it into the transom’s stern bustle and ruined the many spares stowed in that space. The Freeman hatch remained water tight, but a vent into the bustle had been repeatedly overwhelmed by following waves and water had invaded the space. As I stated in the story, it was a new boat, and our passage had worked the boat hard. Such is the shakedown experience. This brand new Nordhavn 62 took us safely across 3300nm and got us here safe and sound. It is wonderful that such a first step in her life would continue on in such grand fashion, now as Infinity! I saw the Maloneys again in Seattle some time later, at a TrawlerPort at the January Boats Afloat Show on Lake Union. They attended several seminars, and it was great to catch up. But that was years ago, so I wondered what happened to Rover in the 16 years since that adventure to French Polynesia. I made a few phone calls and sent out several email inquiries, but my efforts proved unnecessary as a fellow timely responded to one of my FollowingSeas blog posts about the modern cruising lifestyle and informed me that he was the current owner of N62-18, now named Infinity. He and his wife remain totally in love with the boat and had done much to bring her up to new standards of livability and take her way beyond the stock production interior I had experienced. I was intrigued and this story came together. And it is as cool as it gets. 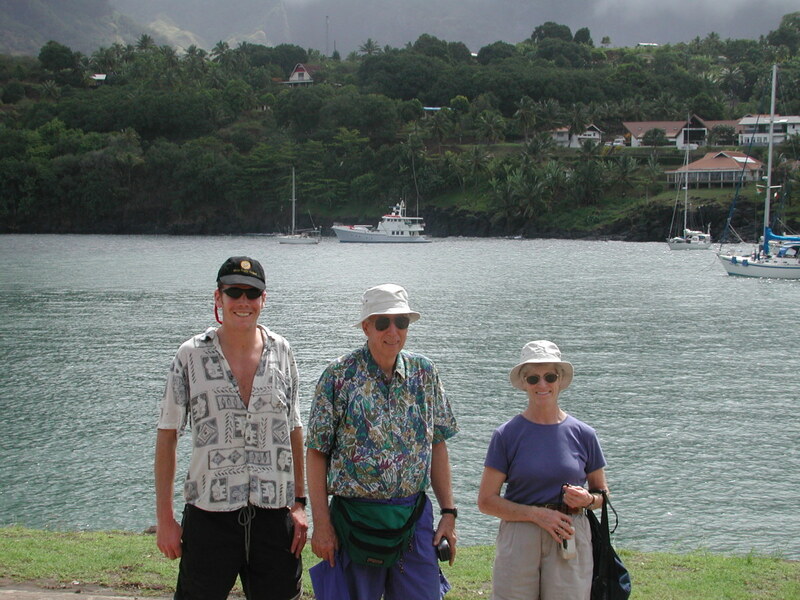 Without needing too many details of the facts and timeframes, John and Gail made across the Pacific, and on to England with Rover, which had been their original plan. Rover was then purchased by a man wanting the boat back in Southern California, and she traveled from England across the Atlantic to Panama and on to San Diego. When Rover (I believe her original name remained) made the short trip from San Diego to Dana Point to be once again be listed for sale, several savvy folks realized that she had just completed a circumnavigation! 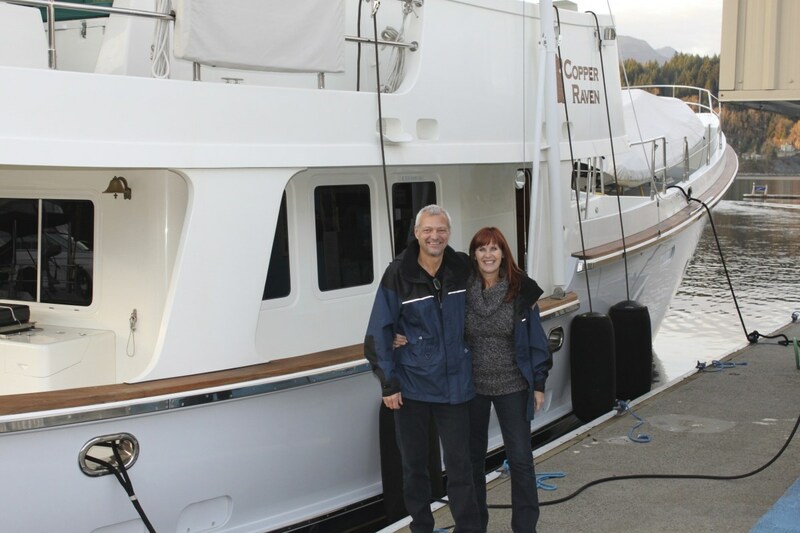 Her third owner, a Canadian, purchased her, renamed the boat, Copper Raven, and took her up to British Columbia. Enter Andy and Julie Neimer. 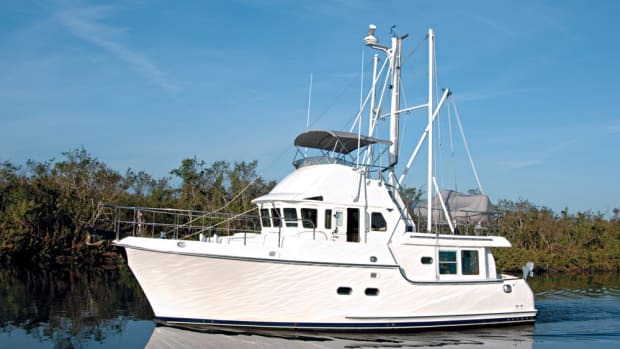 The couple started their search for the perfect boat back in 2010, and the Nordhavn 62 was at the top of their list. Andy admits to his obsession with this model, and he filled spreadsheets and files with all the data he could find about the N62 boats built by PAE. This was the boat they wanted, and they patiently scoured the world of yacht brokerage as months went by, hoping for the right boat and opportunity. But each time a N62 came on the market, it was gone in a flash or the couple not yet in a position to move quickly. Until, that is, 2012. The couple and their family were in Pender Harbour in Vancouver, when they saw this Nordhavn 62 round the bend into view. Copper Raven was the perfect image from their vantage point, so they stuck around and walked the dog more frequently than normal in hopes of meeting the owner and getting an invitation aboard. 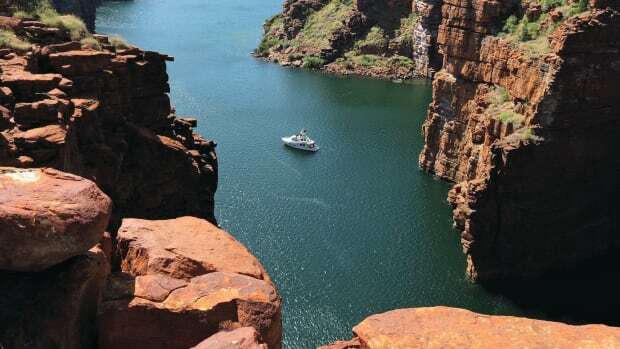 As was obviously supposed to happen in the great universe of life, they did meet the owner, they found the boat was everything they desired, even down to the systems they would have ordered in a new boat. She was not for sale, however, but the couple made their intentions ever so clear. That must have made quite an impression, as not long after the owner got to thinking and perhaps Andy and Julie were just in the right place at the right frame of mind. The owner decided to sell his boat to this couple, who clearly planned to do what he knew this boat was intended for. It was just 82 days from when they first saw Copper Raven to when they owned her. Getting used to a new boat takes time, but Andy and Julie soon found that in addition to the obvious “getting to know you” routines of new boat ownership, they also would need to replace the entire ship’s marine sanitation systems, an unlikely first project on one’s dream boat. But the two are dedicated do-it-yourself types, so they got down to it. 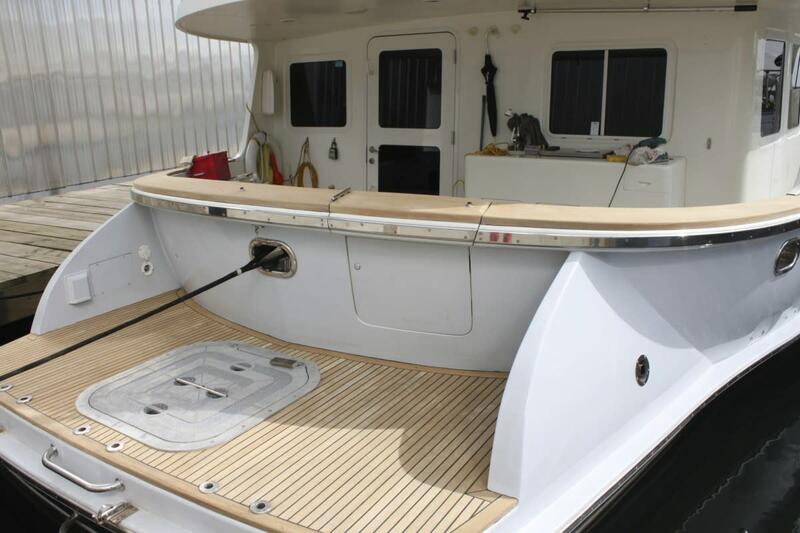 These teak decks added to the aft cockpit and side deck added a yachting touch, but when they were restored to their original brilliance they made the boat really stand out. Despite the maintenance chores of exterior brightwork, a teak deck and cap rail are very special. 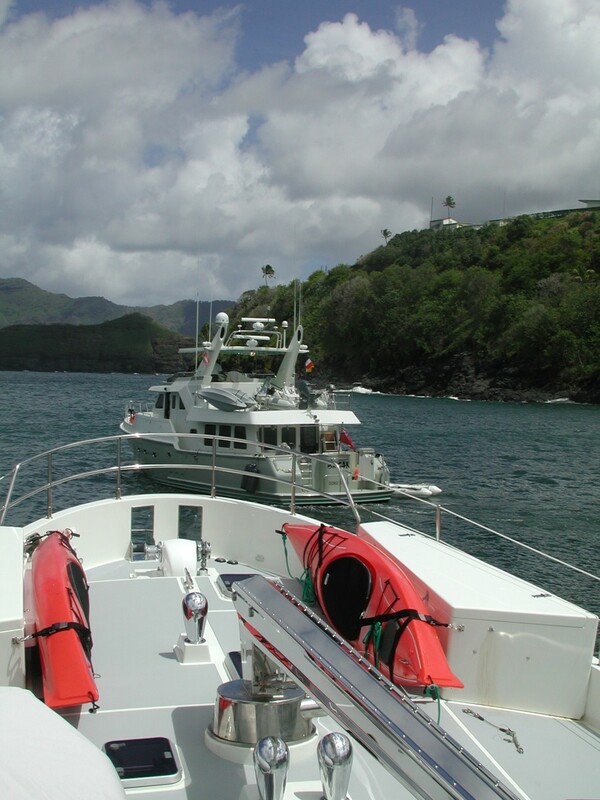 Over the next couple of years, they got to know their boat, as they also tackled many fairly significant projects, such as redoing the teak deck and cap rail and a total redesign of the upper aft deck lounge area. They began making interior changes as well, but that did not stop them from starting to enjoy cruising on the new boat, which they renamed Infinity. In 2013, they headed from Vancouver down the West Coast, from San Francisco to San Diego, then further south to join the FUBAR fleet bound for Mexico later that year. They soon feel in love with the many fabulous cruising grounds in Mexico, while continuing their never-ending list of boat projects to make Infinity their ultimate passagemaker. This included a complete redesign and redo of the saloon seating, while adding a dedicated dining table and chairs on the port side of the saloon. 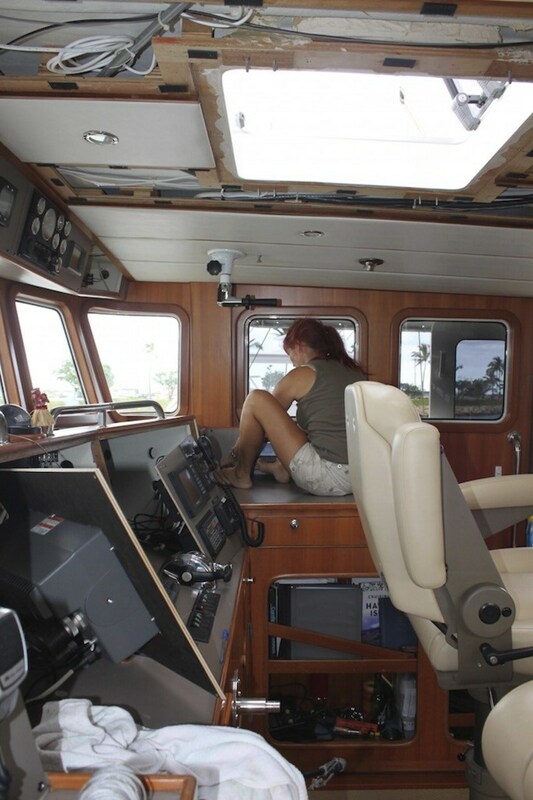 They redid the galley, adding new countertops and backsplash, replacing the aging material on the boat’s overhead panels and recovering the worn pilothouse Stidd helm chairs. It takes vision to look past the enormity of some projects, especially the difficulties of such a large platform. Updating electronics and other systems is beyond the comfort level of most boat owners, yet it is the only way to do it right. The list of projects is too daunting for me to list here, as even swapping anchor chain ends and repainting the chain is not for the faint of heart of a 62-footer. Besides, the couple continued to enjoy the boat while they attended to these projects, so I advise you to visit their very informative website, n62infinity.com, for a complete rundown on these and other projects as they kept up a healthy travel schedule. As with any boat, some of these projects were already on the list of future projects...others were dictated by gear failures, such as rebuilding the Maxwell anchor windlass and bow thruster when they failed after 16 years of faithful service. And let’s not forget the chore of replacing extra-heavy house batteries when the years extend beyond their useful life. Andy and Julie stand proudly next to the efforts of their labors. Not just tourists in paradise, the couple did most of the work themselves, and are now prepared for more years of cruising the Pacific. Andy and Julie finally left Cabo San Lucas on Infinity in 2014 and proceeded to spend the next 16 months in Oahu, Hawaii. During that stop they hauled Infinity and did a much needed, proper bottom job. They also repaired any hull and bow blemishes, and took care of business of both stabilizers and running gear. 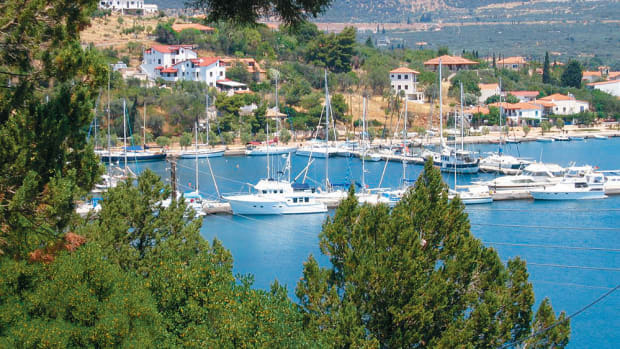 Somehow, the couple balanced these ongoing upgrades and maintenance work with extensive local traveling, diving, and sightseeing. It is their dream come true and Infinity is their home on which to see the world. They have since explored Bora Bora, Tahiti, and the Tuamotus. In September of last year, Infinity headed off to the Cook Islands, then on to Fiji. After 8 glorious months in Fiji, they set course for New Zealand, where Infinity is today, quietly berthed in Auckland. The list of projects is much shorter now, leaving way more room to explore, travel, experience. 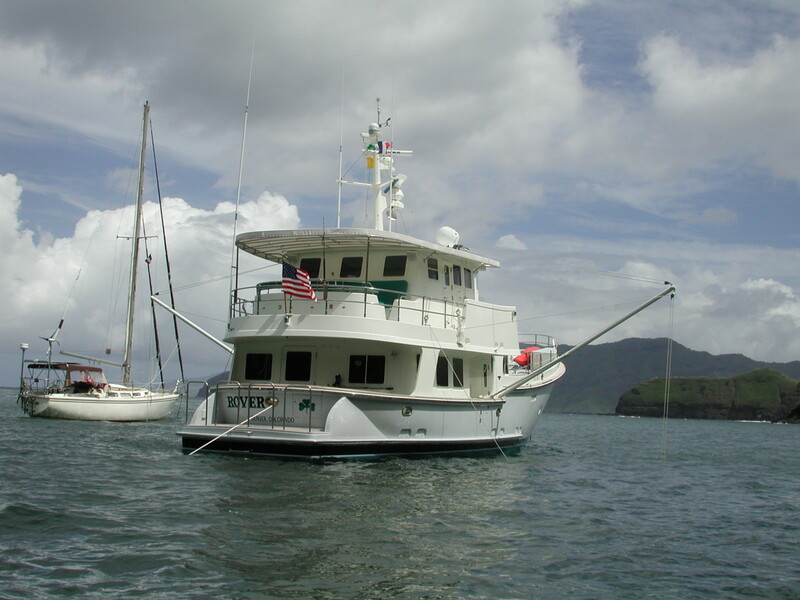 This Nordhavn 62 not only allowed the Maloneys to enjoy a wonderful Pacific cruising experience in the first couple of years of its life, but the boat continues today to provide a rich and comfortable Pacific cruising platform, as long as Andy and Julie choose to remain in the Pacific. After that, the rest of the world awaits. I am so glad I went off to find this boat. Unlike other celebrated trawler yachts, which enable their owners grand adventures and excellent stories to tell, this particular boat continues its legacy of world travel, not resting on its laurels in some quiet marina, with stories to tell but no one around to listen. No, Nordhavn 62-18 is still out there. Rover, now Infinity, is still strutting out in style, getting better and more unique each year, as its savvy owners pick and choose each addition and upgrade for a passagemaker that remains, first and foremost, a world voyager. Tally Ho to the crew of Infinity, the next adventure awaits! Bill Parlatore and his wife, Laurene, founded PassageMaker magazine and Bill now publishes a cruising blog at his website, followingseas.media. He invites you to check it out. Bill also promises to take the occasional dip into the archives for us to find little gems of stories—past, present, and future.